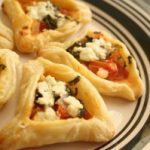 Home / Jewlicious / Try The Goat Cheese Hamantaschen? Try The Goat Cheese Hamantaschen? I might joke about Marduk and Ishtar, but when it comes to hamantashchen: I am a purist. Mine must have poppy seeds to activate their symbolic Spring fertility. Below are some that non-purists might enjoy. 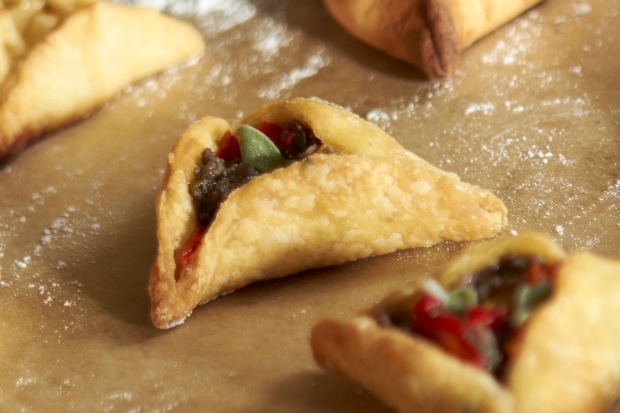 JoyOfKosher.com features the Cardamom scented Hamantaschen with Pear of Goat Cheese. Jamie Geller also highlights Lemon Hamantaschen from Paula Shover which uses lemon curd and the zest from half a lemon. 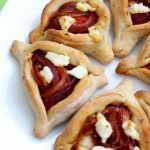 WhatJewWannaEat.com has a carmelized onion hamantaschen recipe available. You need pizza yeast to make them, and a cup of grape tomatoes. Pragmatic Attic also highlights a hamantaschen with a peanut butter filling. It can be found here. The photo of it is too sensual to post here. Don’t you think? Also, the brilliant lemon sunshine hamantaschen are relaxing to look it. 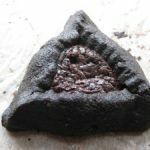 Ima On The Bima provides a lot of tips and techniques on her blog, and also offers a few recipes, including one for passionately feminine and risque chocolate hamantaschen. 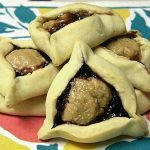 Speaking of smooth or crunchy or natural peanut butter, Laura at SoCalSustenance makes peanut butter and jelly hamantaschen. Laura, a physical therapist, enhances upon a base recipe from Bnai Emet, to create this kid friendly, Southern California friendly treat. Kosher in the Kitchen has three new recipes for 2013, including a Mediterranean style pasty which reminds me of the Italian flag. They are less messy than her bleeding hamantaschen (they bleed jam) and her taco inspired ones. 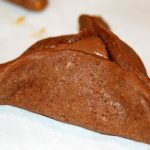 Sara Spigelman of NYC’s Fritos and Foie Gras blog shares her 2012 French Onion Soup Hamantaschen recipe. You can skip the unkosher worcestershire sauce. There are 4 dozen more links on my list to add, but I need to do some errands, so let’s just take a look at a video from the Queen Esther of Jewish Cooking: Joan Nathan. Joan Nathan is a purist. Here is a video on how to make and rim the dough, the filling, and the whole megillah. Pulse it, baby, Pulse it. ← Previous Story In What Athletic Achievement Was Yeshiva University Leading the Country? @AaronBBrown Every train car has easily accessible seats designated for handicapped passengers.